When you order from Hebemann you are ordering directly from the manufacturer. The big advantage for you is that we have practically everything in stock all the time, so we can deliver quickly. We ship worldwide from our location in the Czech Republic, and we even ship spare parts for free within the EU. We always send out the parts you have ordered as quickly as possible. Because they differ so greatly, we use different shipping methods for spare parts and machines. Spare parts are almost always sent via a package carrier. We give you the choice between free standard shipping, which takes an average of two to four days within Europe, and express shipment. Orders for large machines are shipped by our carrier. As soon as the machine is picked up you will be notified of the expected delivery time. As an extra service for our customers, shipping of spare parts is completely free within the European Union. Regardless of the price of the order, you pay no shipping or transport costs whatsoever. The average delivery time for standard shipping within Europe is two to four working days. Once the package is on its way you will receive a track & trace code you can use to monitor its progress. Clearly there may come a time that you need a part urgently. To optimally assist our customers when this need arises, we also offer express shipment. This means that when an order is placed before 10:00 a.m. on a working day, it will generally be delivered the next working day. Once the package is on its way you will receive a track & trace code you can use to monitor its progress. This express service is subject to additional charges. We do not have a standard rate for this service, because the rates charged by the express shipping service vary based on the destination country and the weight of the spare parts. You can choose the express delivery option in step 3 of the ordering process. The express shipping costs are calculated automatically and shown on the screen based on the delivery address you have specified and the content of your order. The express costs are then added to your order. Hebemann machines, such as the drain cleaners, are shipped by our carrier. Hebemann uses different fixed rates per machine. 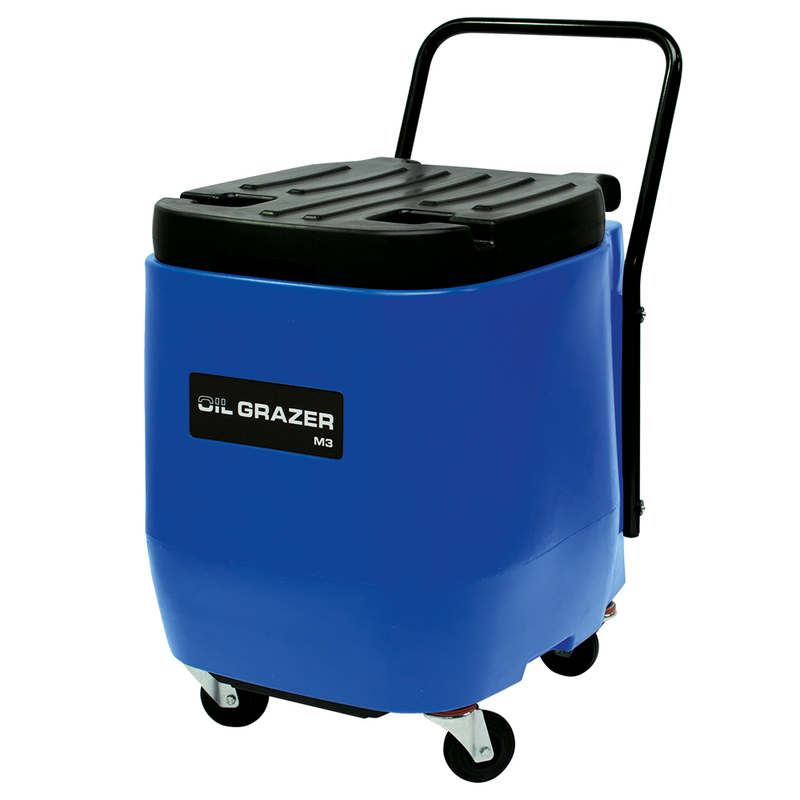 The Oil Grazer is sent free of charge within the European Union. Any accessories and spare parts that are ordered at the same time are sent with the machine, so there are no extra shipping charges. Both during registration and the order process you have the opportunity to specify a delivery address in addition to your company details. You can also specify a different delivery address when placing an order, to be used only for that particular order. Although we ship spare parts for free within the European Union and only charge a fraction of the actual costs for delivery of the JumboPress, you are also welcome to pick up an order yourself from our location in Moravske Budejovice, Czech Republic. You can choose this option in step 3 of the order process. We will then contact you to arrange a pick-up time.